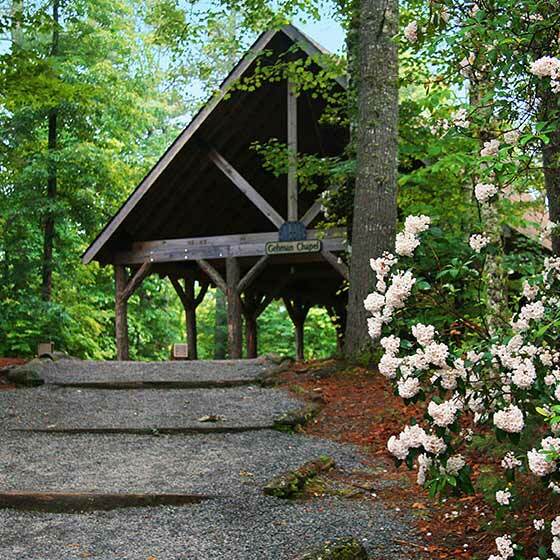 Choose from two camp facilities at Kanuga that are perfect in price and setting for youth or college group retreats, scout troop weekends and other fun, family-friendly events. Both campuses have their own lake, ropes courses and climbing tower, with plenty of forested trails to discover in our peaceful Blue Ridge Mountain valley. This campus accommodates up to 160 people and operates year-round. It includes nine fully insulated and heated cabins, an enclosed pavilion with a fireplace, an open-air chapel, a dining hall and a variety of recreation areas. For information on Bob Campbell Youth Campus pricing and availability, please contact Nate Williams at nwilliams@kanuga.org or 828-233-2748. Our traditional summer camp is available April, May, and August through October. For daytime events, our buildings and grounds can host up to 250 guests. For overnight accommodations, we can house up to 175 guests. Our camp boasts 12 camper cabins, six staff cabins, an outpost that provides a rustic camping experience, three covered pavilions, large playing field, outdoor chapel, and dining hall. Recreation opportunities include trails, lake swimming, archery, archery tag, climbing walls, ropes courses, team-building games, target sports, basketball, volleyball, Ga Ga pit, canoeing, and kayaking. A full-service kitchen and dining room is also available, with catering options from Kanuga or local companies. 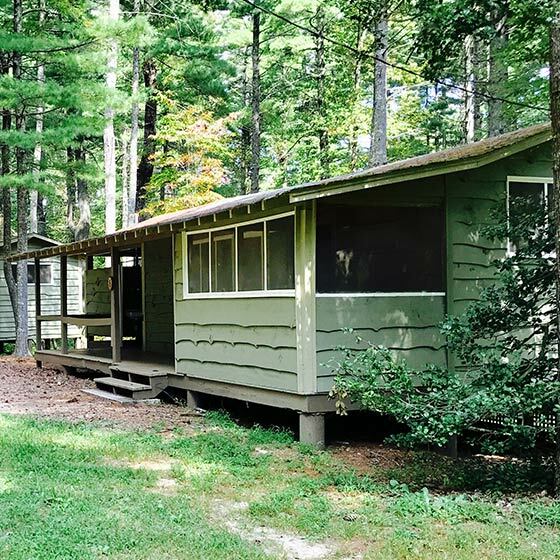 For more information about renting Camp Kanuga, please contact Camp Kanuga Coordinator Nate Williams at nwilliams@kanuga.org or 828-233-2748.